Hello to all from Belgium, am doing research on a soldier who was KIA here in Belgium on 1 November 1918. 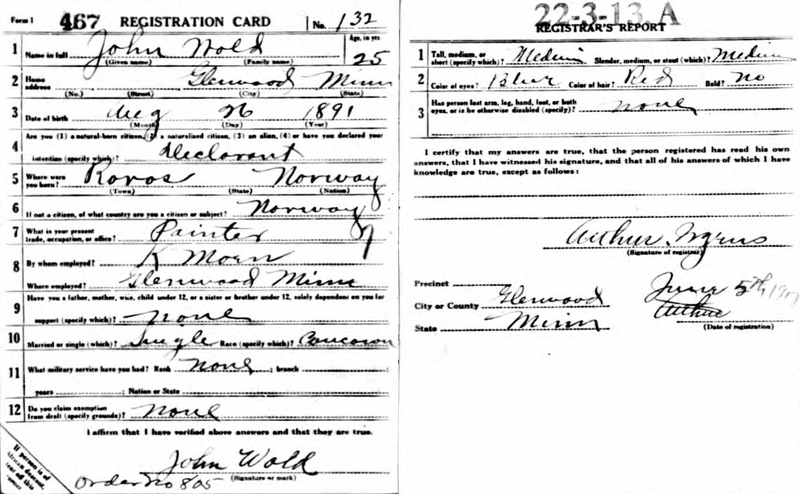 John Wold was a young guy who emigrated from the town Roros in Norway to the USA. John lived in Glenwood, Minnesota and worked as painter for another emigrant from Roros, Mr. Kornelius Moan. John's Norwegian name was Jon (Jan) Kommandantvold, his parents where Nils and Girtru Kommandantvold and he had 3 brothers. His brothers where Reinholt, Magnus and Simen. One of his brothers, I think Reinholt also emigrated to the USA but returned back to Norway. Your work and ambitions are most admirable! I am quite certain that you soon will get a reply here in this forum from THE expert on the Røros genealogy, and she will most probably give you John Kommandantvold's basic biographical data. I will therefore limit myself to recommend you to contact the local newspaper in Røros - the "Fjell-Ljom". This kind of stories is "Gefundenes Fressen" for a local journalist, and since I know that Kommandantvold-families still live in Røros (and elsewhere), chances are good that via the Fjell-Ljom you will get in contact with people or even relatives who can provide you with more information about this young Norwegian soldier. Here is Fjell-Ljom's web site with contact details (link) . 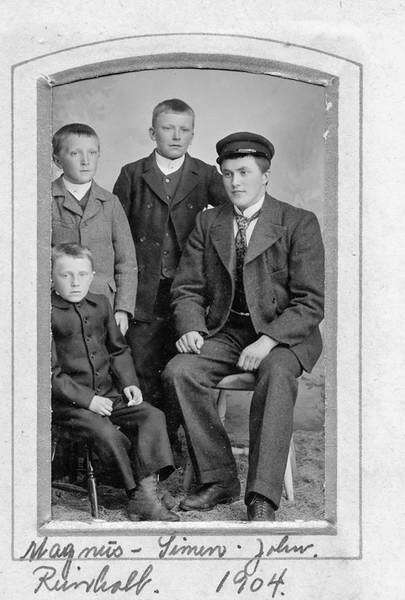 Here you find John and his family in the 1910-census - Folketellingen 1910 Røros . John is listed as "Malerlærling" = painter apprentice. The family lives in the Hagan ("Hagene") part of Røros town. In the 1900-census his elder brother Reinholt is listed also. It's a small world (- or at least Norway is a small country..)! I have tried to follow the families and descendants of John's brothers here in Norway, and it turns out that I went to school here in Oslo with the granddaughter of John's brother Magnus (1897-1966)! She still lives within walking distance from where I live, and I can give her a call to check whether she or someone in her family knows anything about this relative of hers. Thanks thanks thanks...... Tore ;). Have send an email to the "Fjell- Ljom" and now waiting for response, cross my fingers !!! Anyone who can help on this is very very welcome. This is great after about 100 years to find all of this information, thanks 1000X !!! Not sure if you already have this as I didn't find the entry at your website. Hello Kjell Arne, are you the Kjell Arne I saw a post on Ancestry.com? I tryed to contact you some months ago on this address kjell2000@yahoo.com but is not working! This registration card I have already :( . Are you family of John's brother Magnus? What am looking for is to find some photos and maybe documents, letters, etc .... that can be scanned. 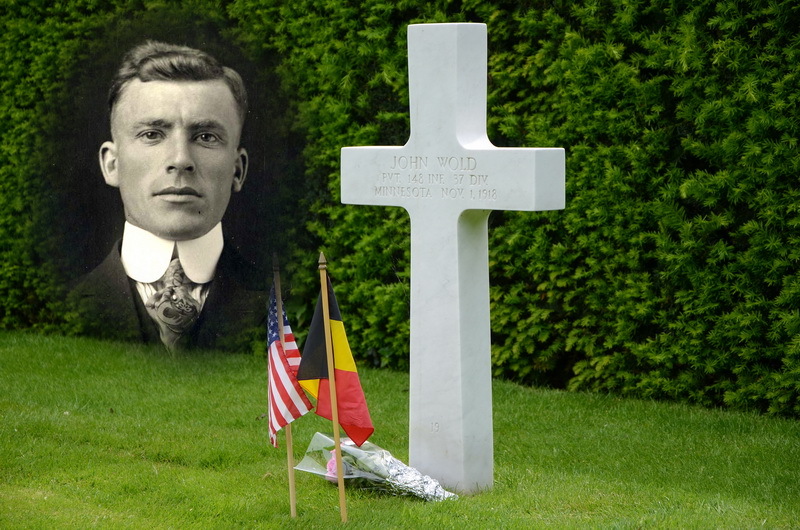 If you are family send me a pm with your email address and I send you and your family photos each time I visit John's grave or attend on the ceremonies at the Flanders Field American Cemetery. In the mean time here something I got from family of Reinholt the other brother of John. Thanks in advance for any help you can gave on this. We can read about this Kommandantvold-family on p.556-557 in vol.4 of the "Rørosboka" (published 1973), the local history and genealogy book, covering families, homes, and farms in the Røros town and countryside. 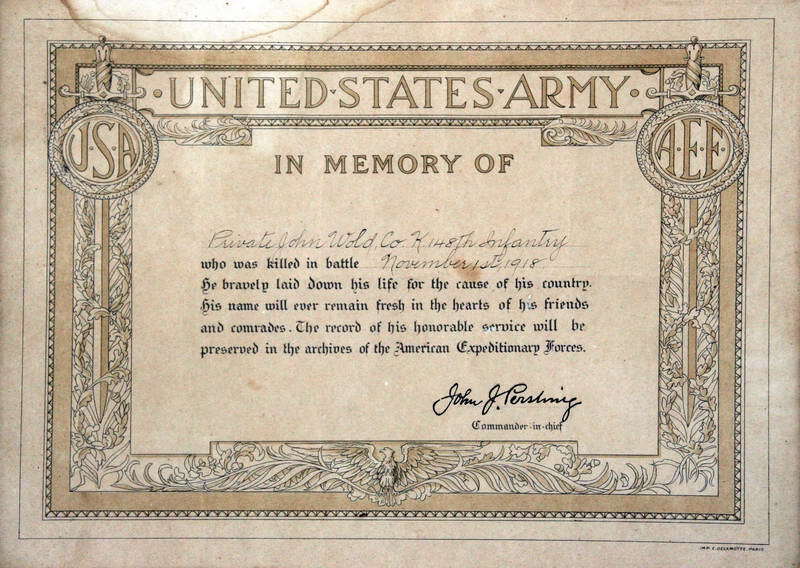 It says that Jon, b.1891, emigrated to America in 1911, and that he enlisted as a soldier during World War I and was sent to Western Europe where he was killed in action and buried in Belgium. So, Jon's tragic destiny has been known to his family back in Norway. The book also gives quite extensive information about John's brother Reinholt's life, both in the U.S. and in Norway, and about Reinholt's children and grandchildren. If my contact with Magnus' granddaughter doesn't give any results, it will therefore be possible to find and approach some of Reinholt's descendants. I will try again this weekend. PS: Tomorrow I go to France for 2 weeks and am not sure to have internetconnection so it could be that my response come some time later. I will use as much as possible hot-spots to read my mails so don't hesitate I will see it ;) . I subscribe to this weekly newspaper, so I will let you know should they write more about him. I have also talked with the granddaughter of Jon's brother, and she has given me the contact details of Jon's 88-year-old niece who knows more about her uncle. I will contact her this weekend. Great Tore ;-) Am in France for the moment but have (bad) internetconnection on my mobile. Cross my fingers . I'm also happy to hear that another relative of John Vold/Jon Kommandantvold's has contacted you after having read the newspaper article - hopefully he can contribute with more information to your tribute web page honouring John Vold. As for John Vold's niece, she has an old photo of the Kommandantvold family, showing John's parents with their four children. I will borrow the photo from her and have a copy made and emailed to you. That's interesting. John's niece told me that her uncle Reinholt once went to Belgium to visit his brother's grave there. I have just sent you a PM with email addresses etc. I am deeply touched by your involvement in honour of those young men who gave their lives for our freedom some 100 years ago. Your unselfish work is a valuable contribution to helping us keep the memories of their sacrifices alive. John Wold born in Røros as John Kommandantvold has finally got his memory preserved. This young boy died in the final days of WW1 in Belgium N ovember 1. 1918, just 10 days before the war ended. He was the younger brother of my grandfather. 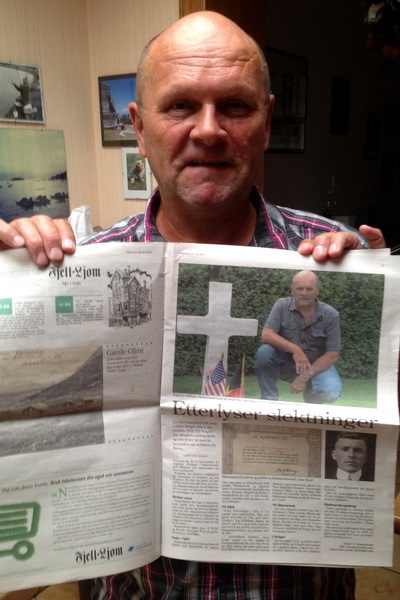 In July this year I had the privilege to visit my grand uncles grave av Flanders Field, thank to Philippe Vandedonckt. July 26 2014 Flanders Field; Waregem Belgium. Visiting my granduncle John grave.